See the John Deere 4955 Trike-Trac fired up and ready to roll as we get a close-up view of this monster machine. The model featured in this video was in production from 1988 to 1992 at Deere’s Waterloo, Iowa plant. Specs included optional four-wheel drive, a 200-horsepower liquid cooled inline 6-cylinder John Deere diesel engine, John Deere Power Shift transmission with 15 forward and 4 reverse gears, and a 102-gallon fuel tank, according to Tractor Data. 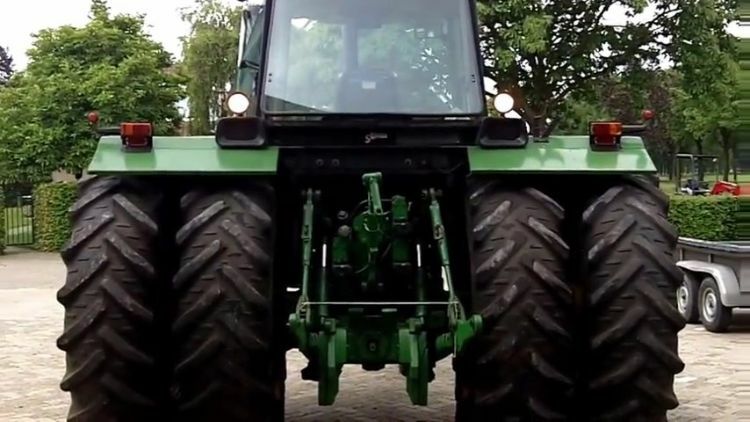 The advantage of the Trike-Trac wheel configuration is that it can provide a certain pattern of compaction with each pass. As the front and rear wheels pass, it creates concentrated and distinct lines of compacted and non-compacted ground that are preferable for certain crops, such as celery and root vegetables. The configuration also provides the added benefit of allowing more of the farmland to be developed and maintained for planting, which is critical on smaller parcels of land where all land needs to be utilized for profitability. The trike configuration is nothing new and has been used in old American row crop tractors for decades. This relatively modern large tractor is still in use on many farms and has proven itself to be a reliable workhorse. Some of these tractors are used primarily at harvest time, or may serve in a secondary role to the main tractor on smaller units for plowing. 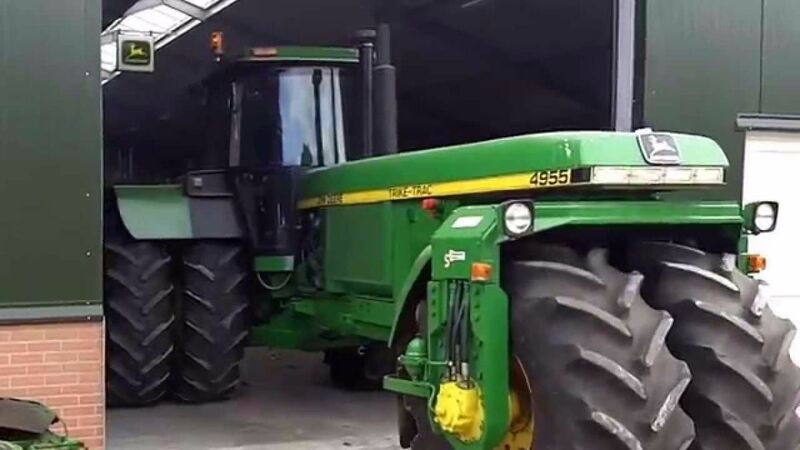 Have a look at this three-wheeled machine on the farm below, and SHARE if you like John Deere.